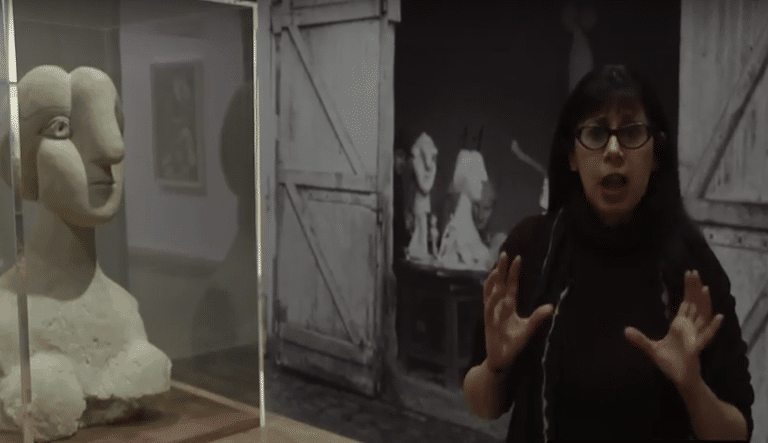 Did American painting exist before Abstract Expressionism? Not such a daft question if we don't get to see any of it. 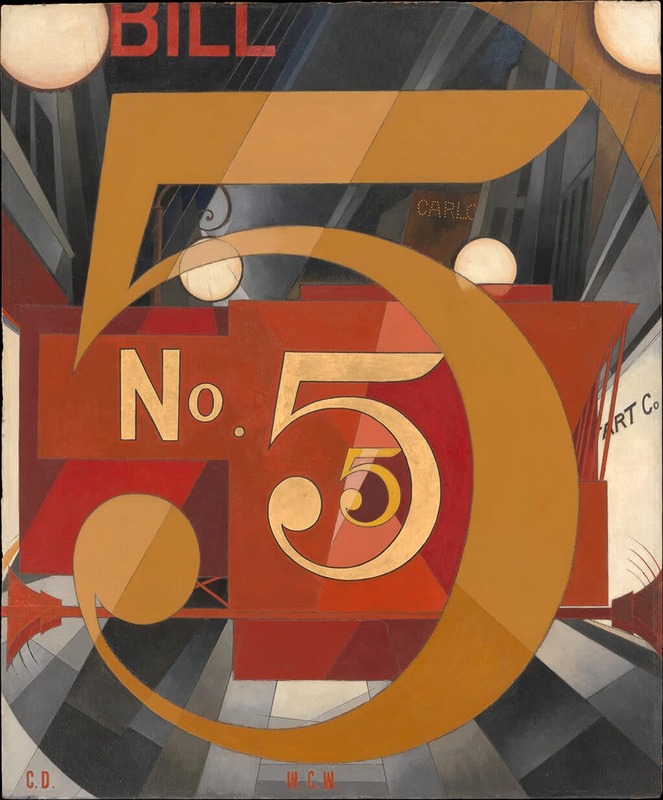 The National Gallery recently embarked on a first: they acquired their first American painting. 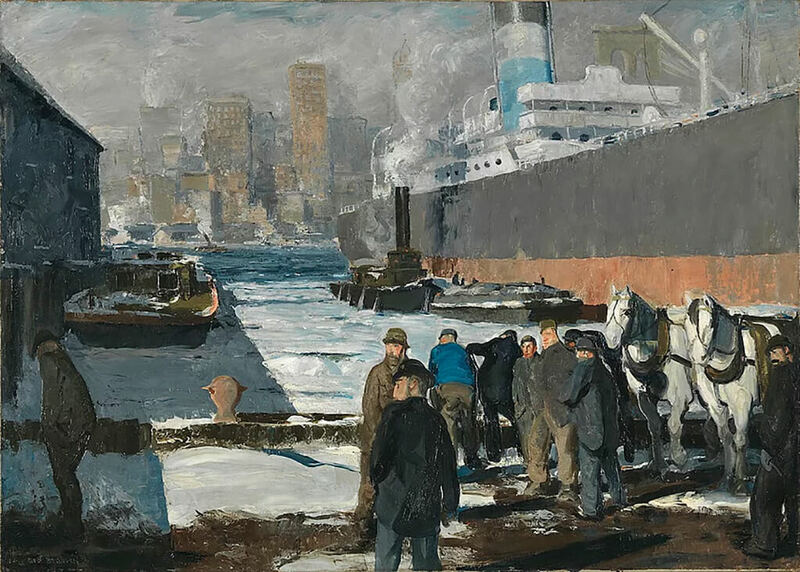 Men of the Docks, 1912, may not be George Bellows’ most famous or best-regarded work; nonetheless, it’s a gritty and beautifully observed slice of New York life among the city’s dockside workers. American photographers certainly excelled. 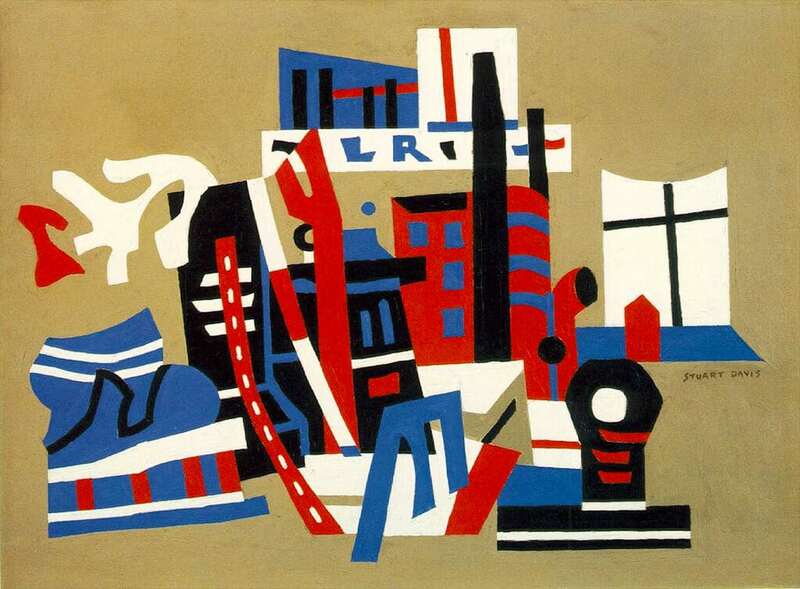 But here’s a selection of paintings by artists who also excelled in the first few decades of the 20th century – though not all follow the precept of being rooted in American experience etc. A number are, of course, still extremely well-known. 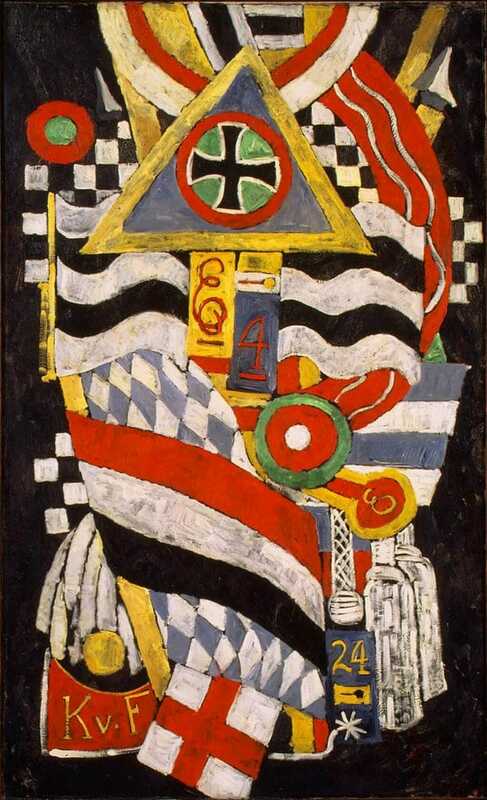 Many were part of an avant-garde circle clustered around the influential gallerist and photographer Alfred Steiglitz. 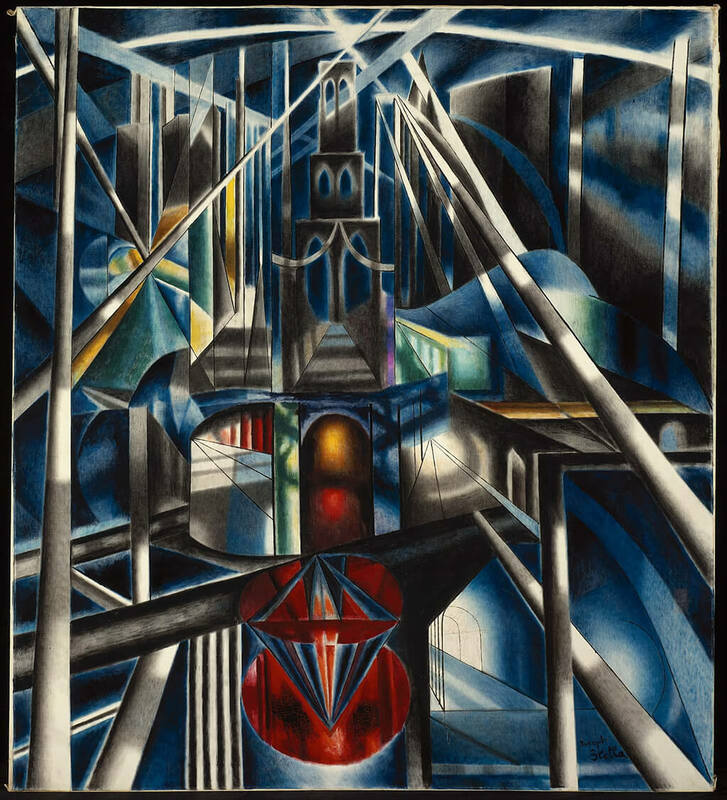 All worked, at least in the early part of their careers, in New York or around the East Coast, while only one worked from beginning to end outside the avant-garde altogether, in America’s Midwest. 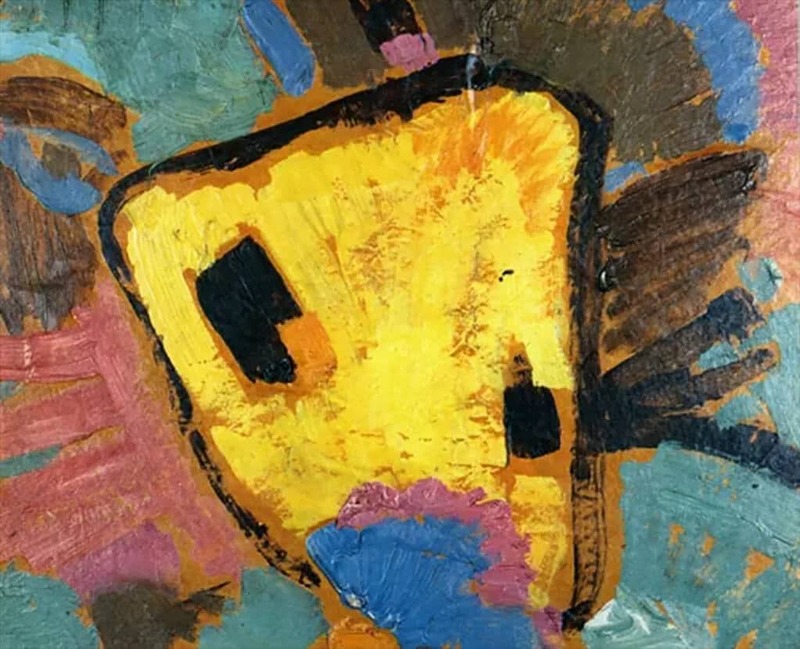 John Marin was a big artist in his day and another Steiglitz protégé. 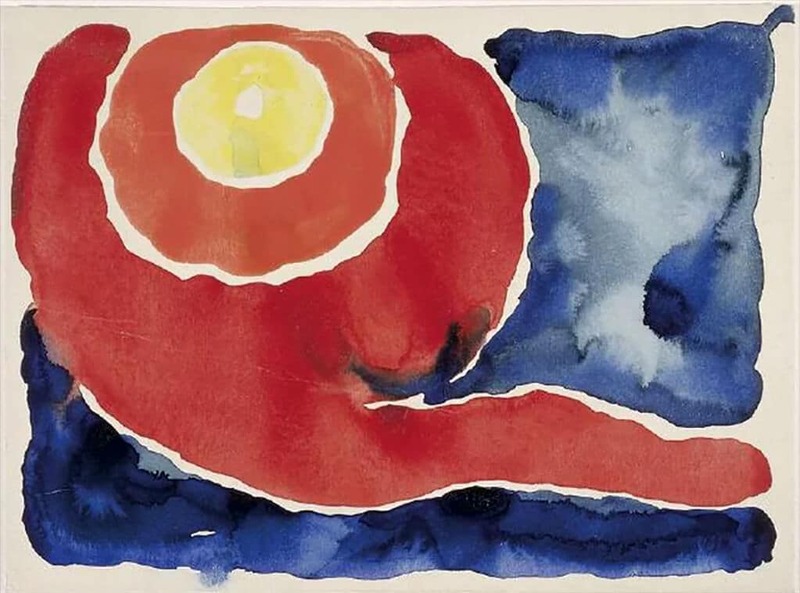 His loose handling of paint, and his use of watercolour to blur objects under hazy washes while leaving stretches of paper and canvas untouched, lent his paintings an exhilarating sense of freedom and spontaneity. 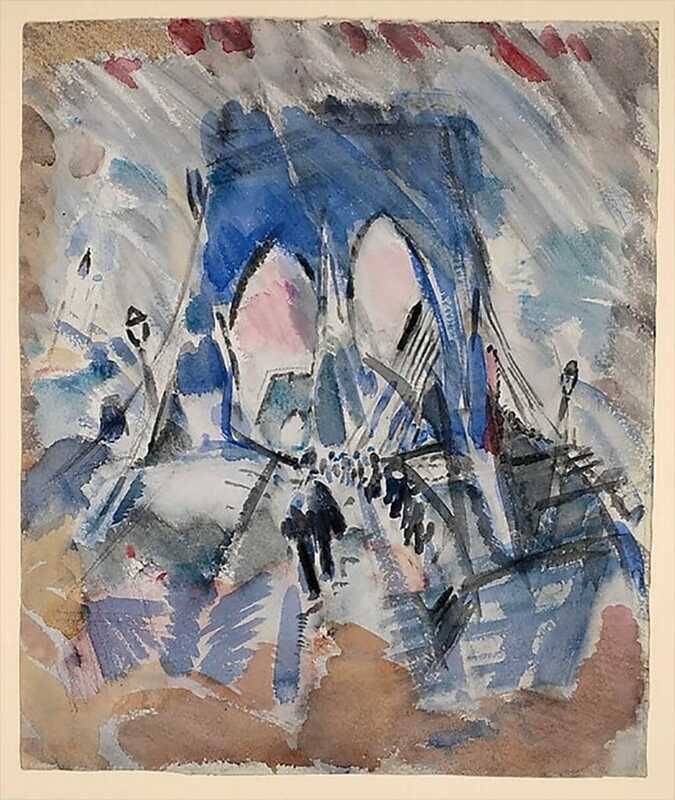 Said to have greatly influenced the Abstract Expressionists, he was among many modern artists drawn to depicting Brooklyn Bridge. Here it’s rendered as if it’s rearing up untethered and about to float weightlessly up into the atmosphere. 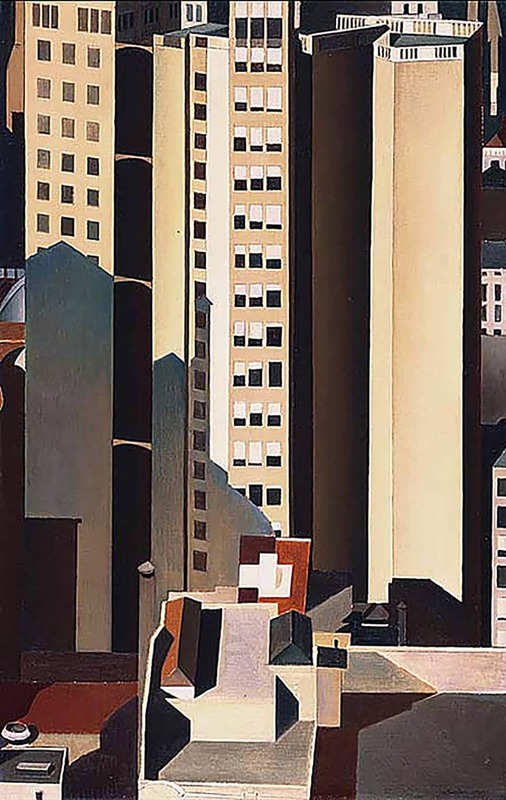 Too many Hoppers in the flesh will make you see how limited a painter he actually was and how many of his paintings look better in reproduction, but his impenetrably silent, noir-ish scenes have obviously embedded themselves in the American psyche. 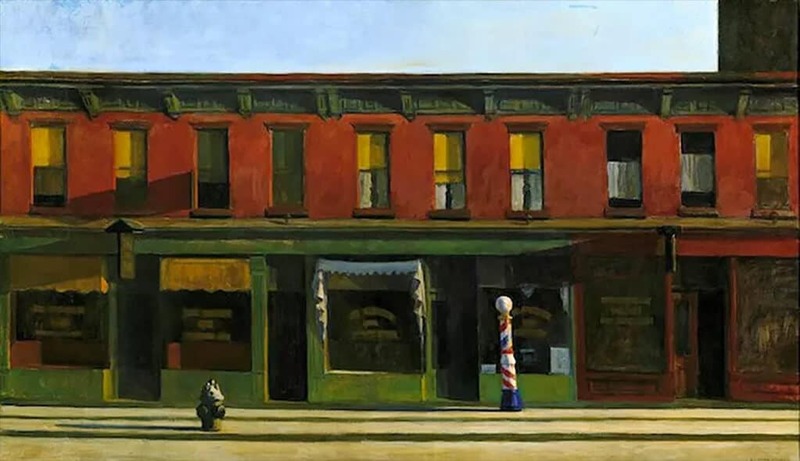 Hopper spent much of his life as a commercial illustrator, and then was briefly associated with the New York Ashcan school, alongside Bellows. He was popular during his lifetime, as he is popular now. This view of a street with its two-tiered redbrick building is ordinary and yet not ordinary. Its silent windows, its darkened shop fronts, and its long shadows make it tremble on the edge of something almost surreal – but not quite. It’s a painting on the cusp of something, but it betrays nothing. This feature first appeared in The Arts Desk on 16 February, 2014.